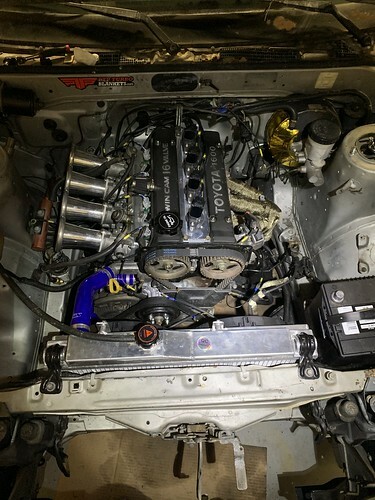 I hooked up the ECU to the engine harness, and I thought that would be end the my problems. But as soon as I cranked the motor, it didn’t start…… So that lead to another set of issues I had to figure out. Thankfully I had a lot of good friends that helped me along the way. First thing I found out was to set the timing. I figured out my timing was off, because I was getting compression, spark, air, and fuel but it wasn’t synced up correctly. If it is not in sync then the motor will never fire. But since I have a stand alone ECU and coil on plugs, it wasn’t as simple as aligning the distributor to top dead center (TDC). 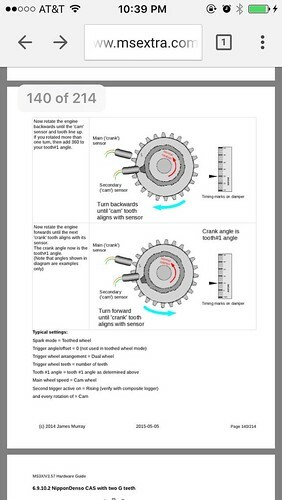 I had to do some research on tigger wheel setups and crank angle offset. The Link ECU will be telling the spark plugs when to fire at the precise moment. What we had to do was first set the motor to TDC. On the 4AG motors, the stock crank pulley has a mark that aligns to TDC. This link gave me and idea on TDC for my motor: http://repairguide.autozone.com/znetrgs/repair_guide_content/en_us/images/0900c152/80/06/f0/4b/medium/0900c1528006f04b.gif. Then we had to tell the ECU to fire a spark at TDC. We did this by going into the ECU software, locking the timing 0 degrees to TDC, and then adjusting the ignition offset angle to fire at TDC. 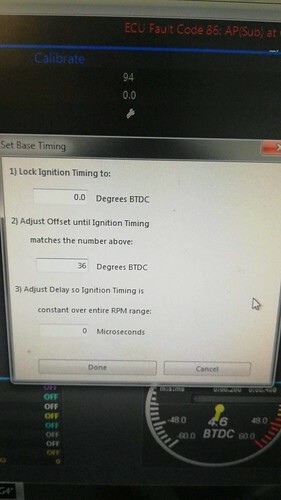 To figure out what number I had to put on the offset ignition timing, is when the timing gun comes into play. You enter a number and then see where the timing light hits. You adjust that number till the timing light lands on TDC mark. This means the ECU is firing a spark at TDC. After we did that, the car still didn’t run and felt pretty helpless and mad at the same time. Technically the car is timed right and already verified I’m getting air, compression, fuel and spark. Yet, the car would start, not even a hiccup. So at this point I called it a day and honestly didn’t didn’t touch the car for another month or so. Mainly because I went Japan and had other obligations to do. Until recently, a couple days ago my friend came by my house and finally got it running…. What happened was that the Link ECU was looking for K20 MAP sensor and my air intake temp sensor wasn’t plug correctly. So my friend made a temporary harness for the air intake temp sensor and then we told the Link ECU to use it’s own built in MAP sensor. Then the car cranked and started immediately!!! 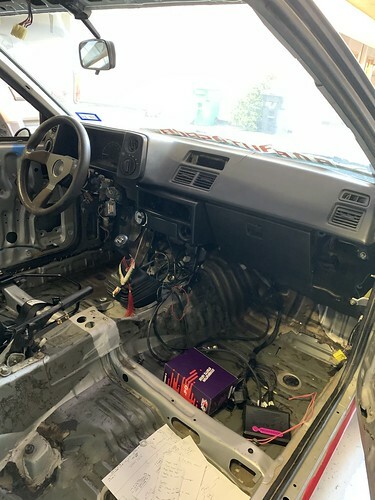 I was soo relieved, and more motived now to finish work on the AE86! My other friend was adjusting the fuel for cold and hot start up. Just to make sure the car will start in any temperature. After the car ran for a while we did find some minor issues like the lower radiator hose wasn’t fully tight and leaked coolant. Easy fix. And injector #1 was leaking fuel, due to a bad seal. That was my fault man handling the fuel injector. The leaking fuel explains the slight hesitation from idle to full throttle. I’m almost there! Just need to tidy up the wiring, and take it to a tuner! I would like to give a special shout out to Donnie who really stuck by my side to figure out the issue, and Jacob for adjusting the ECU setting so the car will be more reliable during start ups. And all the homies that came by the house for moral support. Thanks y’all!